The Outlook plugin does not work like a soft phone. 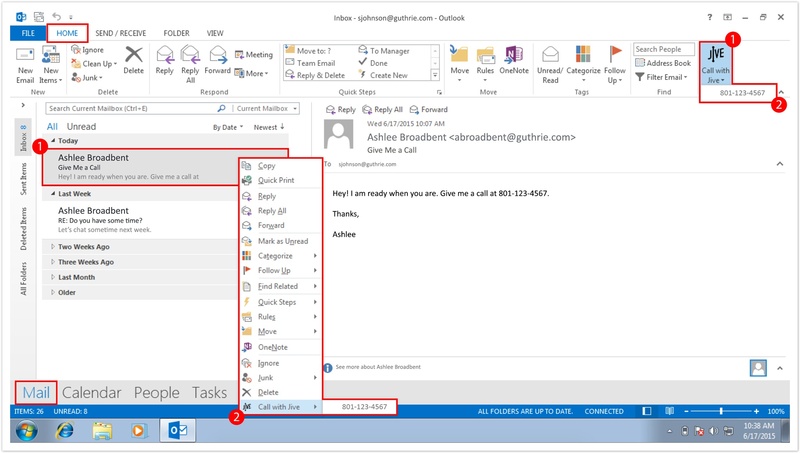 When you initiate a call from Outlook, it first sends the call to your Jive phone, waits for you to pick it up, and then finally completes the call to the outbound number. IMPORTANT: These features only work when Jive's IE Plugin is running and a line has been selected within that tool. 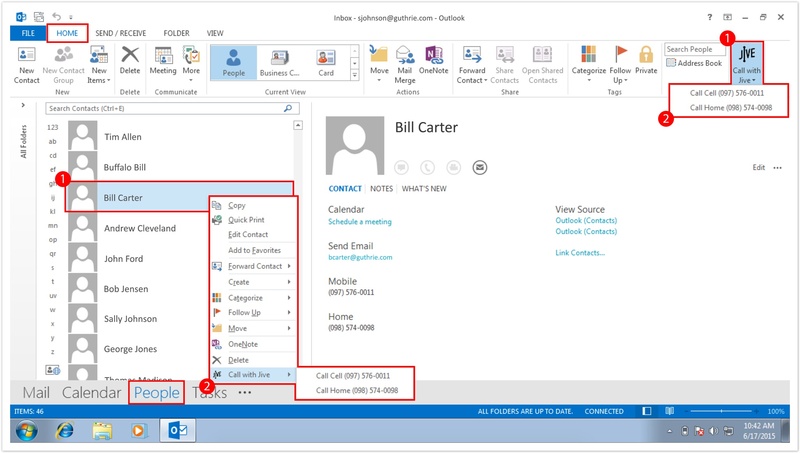 Note: This feature works with messages sent by Outlook contacts with a phone number in their contact information or when a phone number appears in the body of the email. Hover over Call with Jive and then click the desired number. Click Call with Jive within the Home tab. Right-click the contact you would like to dial.